Melbourne in 2007 is hardly a place where you would expect to find a band pumping out classic 1960’s progressive rock in the vein of Keith Emerson or Ken Hensley, but the Australian Cosmic Nomads are proud to nail their retro prog-rock colours to the mast with this massive Hammond-dominated album. Chief Nomad is vocalist/writer Ray Vanderby, whose weapon of choice is a 1959 Hammond C3. Right from the very first massive chord of track one, Vanderby lets his audience know what they are in for. “Another World” rocks along solidly in 4/4 time for seven minutes, and it is followed by the multi-part “No More Heartache/Approach Of The Vulturess/No More Heartache II” which begins in a swirl of Hammond riffs reminiscent of ELP’s “The Barbarian”. In fact, the Hammond is so overpowering, that the other band members only get occasional chances to shine, although guitarist Con Patogiannis does get to fire off a nice solo during the improvisational section of “Heartache”. The flier accompanying my copy of “Vulturess” points to Syd Barrett influences on the album, particularly the third track “Elephant In My Soup”, but unfortunately this comes off quite contrived and just plain silly, making it the low-point on an otherwise solid disc. “Can’t Stop Lovin’ You” is very much in the 1970’s Uriah Heep vein, proving for once that it might just be possible to play heavy metal without guitars! The next multi-part epic is “Journey Of Trelucabeth’s Dream/Escape Through The Mews” which opens with a drum solo of sorts before kicking into more heavy Hammond riffery. More of the same is delivered in “Cry Cry Baby”, and the somewhat mellower “Winter’s Day”. 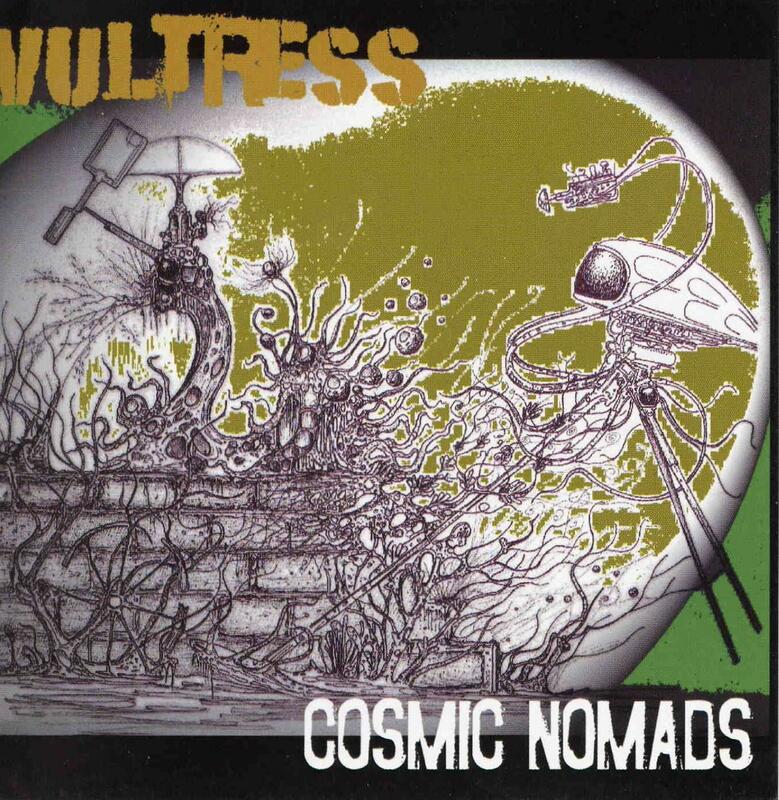 “Vulturess” leads into the ten minute blast of “Return Of The Vulturess/When The Wind Blows” which has an almost King Crimson vibe to it. Album closer “We Are Lemurians” features more tongue-in-cheek lyrics and a final blast of Hammond fury, plus Gina Woods on Prophet synthesiser 600. This album is not going to appeal to every progressive rock fan, and is unlikely to crack much of a hole in mainstream Australian radioplay. However, it will certainly be a treasure trove to those out there who love the classic sounds of The Nice, Uriah Heep and early Deep Purple.